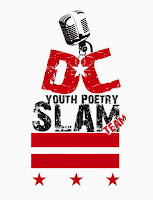 Stay connected with the DC Youth Slam Team and all of their events on facebook here. Did you know that the DC Youth Slam Team placed first and took home the win at the Brave New Voices competition in 2014.... and every Wednesday teens can take a free workshop hosted by the DC Youth Slam Team at the Split This Rock office on 16th St right near K St. In 2014 The Beltway Poetry Slam Team also won first place in the National Poetry Slam competition with Elizabeth Acevedo taking home the title of Grand Slam Champion. Go DC Poetry!